Tungstone Batteries are produced on the same production lines that make batteries for Original Equipment, using the same technology, man power, equipment, controls and quality inspections approved by the car manufacturers to whom they are supplied. 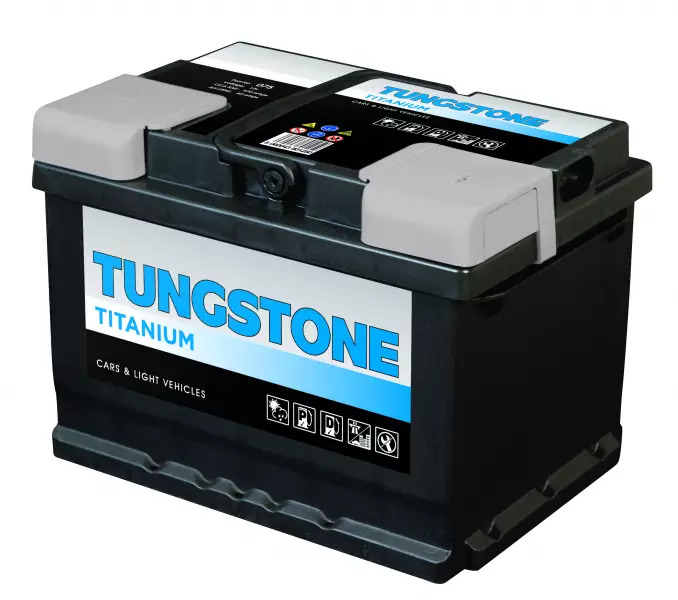 The Tungstone Titanium range are flooded lead acid batteries and cover 97%+ of the European Car Parc. Although new technologies are emerging, Conventional will continue to be fitted to the majority of vehicles on the road. The Tungstone range are produced on the same production lines that manufacture batteries for Original Equipment, using the same technology, man power, equipment, controls and quality inspections approved by the car manufacturers to whom they are supplied.This commitment ensures high performance, long service life and improved reliability making the Conventional range ideal for the vehicles of today. The Tungstone range also benefits from Calcium / Calcium technology which provides longer shelf life, greater resistance to high under bonnet temperatures and reduced water loss throughout its life.